There are multiple gadgets on the market that claim to help reduce tummy fat, but many are not scientifically proven and leave consumers disappointed. Now, a new approach developed by scientists in Asia may provide hope for those who want to reduce bulging tummy fat. Scientists at Nanyang Technological University (NTU) in Singapore have been able to reduce weight gain in mice on a high-fat diet while reducing their fat mass by more than 30 percent. They did this with an approach that combines an innovative way to deliver drugs, along with a drug that can turn energy-storing fat into energy-burning brown fat. This new fat reduction method centers on a skin patch that is made up of hundreds of micro-needles. These needles are all thinner than a human hair and are loaded with a drug called Beta-3 adrenergic receptor agonist or another medication called thyroid hormone T3 triiodothyronine. When the patch is pressed against the skin for just a couple of seconds, the thin needles detach from the patch and embed in the skin. The patch is then removed. The needles slowly degrade and the drug diffuses into energy-storing white fat underneath the skin before turning the fat into energy-burning brown fats. The findings, published in the journal Small Methods, have opened up discussions about addressing worldwide obesity. The researchers involved in the discovery are now wondering if this approach could help the millions of people who are battling obesity without having to go through surgery or take medications that have serious side effects. 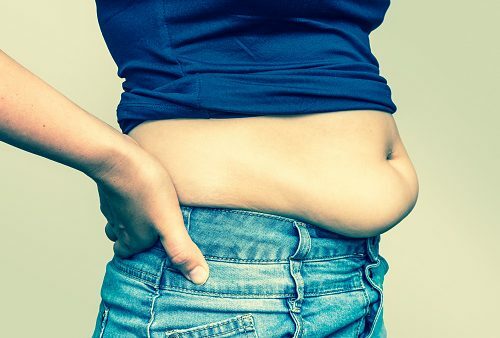 While the approach was carried out on mice and requires much more investigation, the promising results do give people who have tried countless fat reduction methods without success some hope. If you or someone you know is struggling to reduce tummy fat, learning as much as possible about the human body can be crucial. For instance, brown fats are the fats that are found in newborn babies. This fat helps to keep a baby warm; however, as we grow older, the amount of brown fats decreases and is replaced with visceral white fats. Visceral fat is the fat that is stored in the abdomen and several vital organs, including the liver and pancreas. When people store higher amounts of visceral fat, they are at an increased risk of a number of health problems. Type 2 diabetes is one of the most common issues associated with visceral fat. Chenjie and his team were determined to develop a patch that would be painless, easy to use, and affordable. They also point out that their solution uses a person’s own body fats to burn more energy, which is a natural process. It is interesting to note that in addition to reducing the fat mass in mice by over 30 percent in just a four-week period, the mice also seemed to show significantly lower blood cholesterol and fatty acid levels compared to mice that did not undergo this new treatment. The researchers are hoping that the response to their work will lead to Phase 1 Clinical studies in humans. Recently, the team received interest from some biotechnology companies looking to partner with scientists to further this type of research.